With Leeds United’s neverending takeover saga still dominating the headlines, the football seems to be something of an afterthought at Elland Road these days, but while the would-be owners fool around with Italy’s answer to Ken Bates, The Whites will be hoping to restart their promotion push with a win over 7th placed Ipswich Town. For Brian McDermott, I suspect the clash can’t come quickly enough. As another takeover ruins his transfer market plans, a return to on-field matters must come as something of a relief. If he wasn’t bald upon arrival, his first year at Elland Road would have certainly done the trick. Leeds have won three out of the last four against Ipswich Town, including the reverse fixture earlier this season, but the visitors must feel they’re visiting Elland Road at the best possible time. An out-of-form Leeds United, distracted by internal power struggles whose captain and star striker is the subject of a sizeable transfer offer are primed for the taking. That said, Whites fans will draw some confidence from a markedly improved performance against league leaders Leicester City last time out. The bookies must have seen enough to convince them a Leeds United revival is imminent. Navigate to this site and you’ll see Leeds have been made favourites with odds of 5/4 on the win, while Ipswich Town must look like an attractive 2/1 bet for the neutrals. Form tables don’t count for much in the Championship, but neither of these two sides are setting the league alight at the moment. 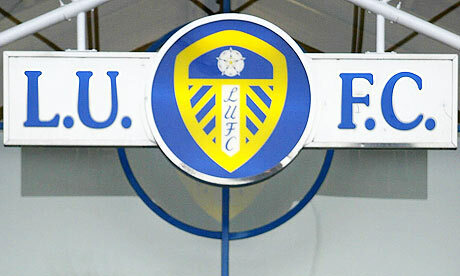 Leeds United haven’t won a league fixture since December the 14th and have lost their last five in all competitions. Meanwhile, Ipswich Town experienced a bit of dip in form themselves, going four league games without a win before a 2-0 home victory over Reading last week. For Leeds fans, an improved performance against Leicester City offers some cause for optimism. The Whites will need to take their chances this time, but if they can perform to the same level again then there’s no reason why we can’t come away with all three points and bring to an end one of the worst runs in form most fans have ever experienced. That’s all easier said than done of course. Boardroom chaos and off-field distractions aren’t conducive to a successful Leeds United and the sooner we can all get back to concentrating on nothing but the football, the better.